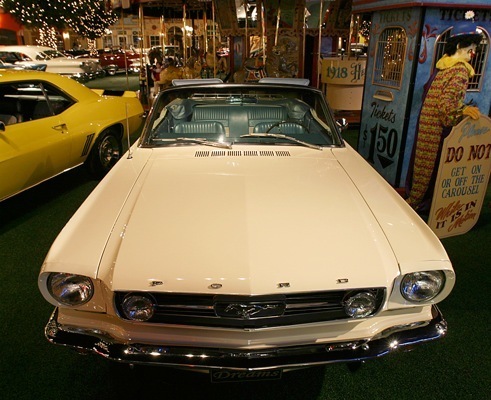 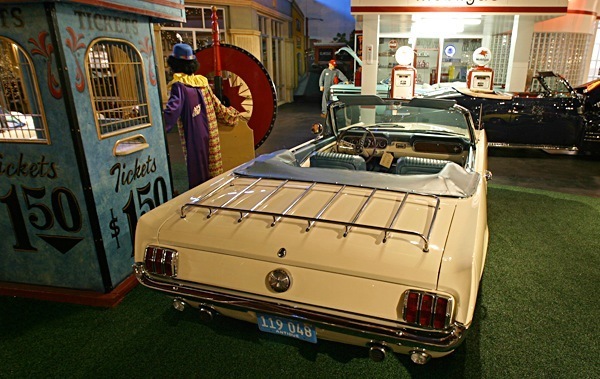 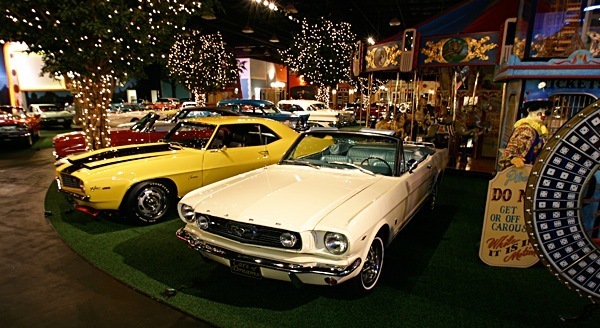 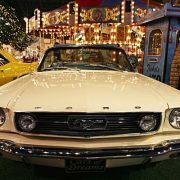 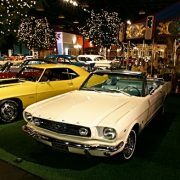 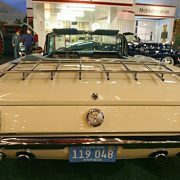 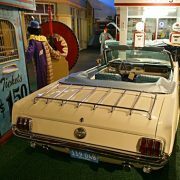 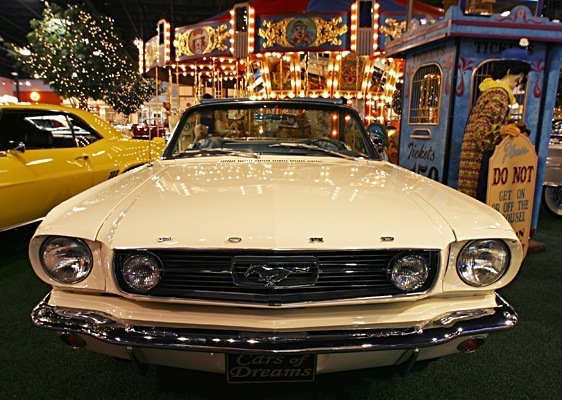 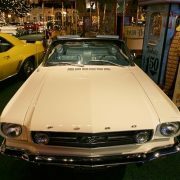 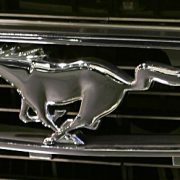 First conceived by Ford product manager Donald N. Frey  and championed by Ford Division general manager Lee Iacocca, the Mustang prototype was a two-seat, mid-engine roadster. 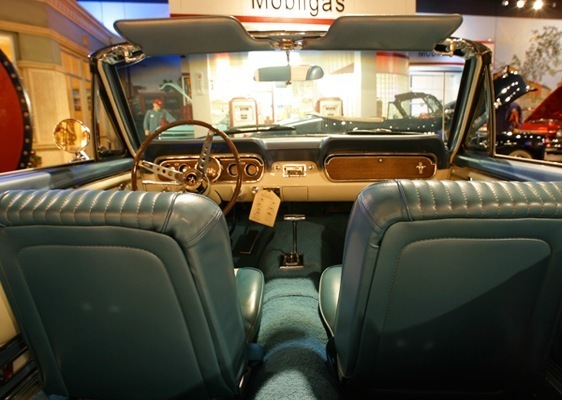 This would later be remodeled as a four-seat car penned by David Ash and John Oros in Ford’s Lincoln – Mercury Division design studios, which produced the winning design in an intramural design contest called by Iacocca. 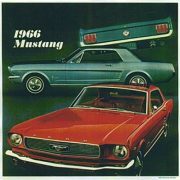 To cut down the development cost, the Mustang was based heavily on familiar, yet simple components. 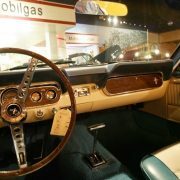 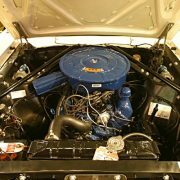 Much of the chassis, suspension, and drivetrain components were derived from the Ford Falcon and Fairlane. 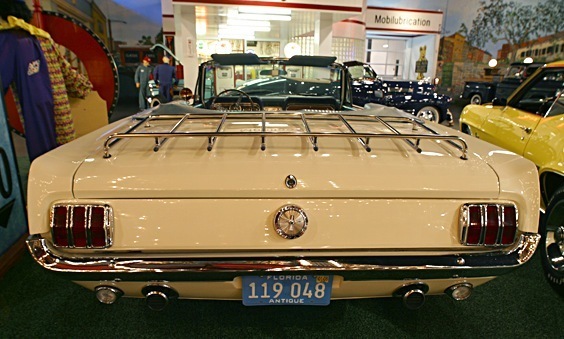 The car had a unitized platform-type frame, which was taken from the 1964 Falcon, and welded box-section side rails, including welded crossmembers. 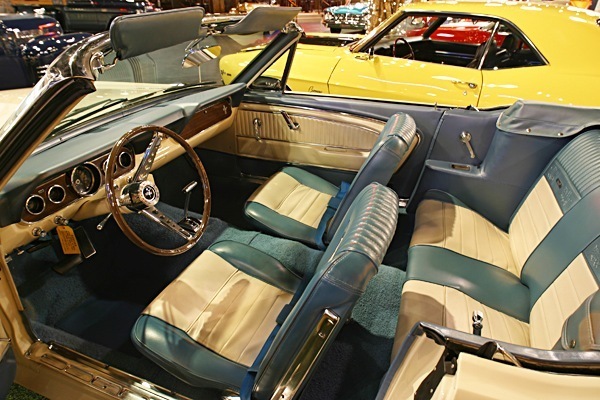 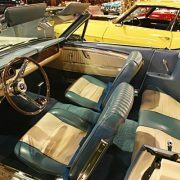 Although hardtop Mustangs were the majority of the sales, durability problems with the new frame led to the unusual step of engineering the (necessarily less rigid) convertible first, which ensured adequate stiffness. 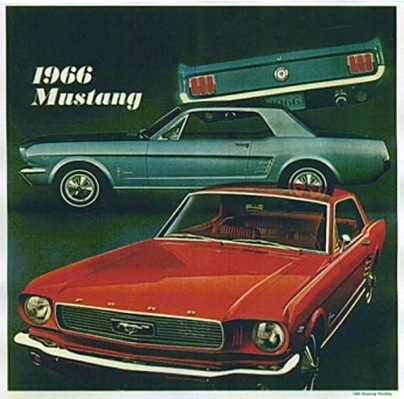 Overall length of the Mustang and Falcon was identical, although the Mustang’s wheelbase was slightly shorter. 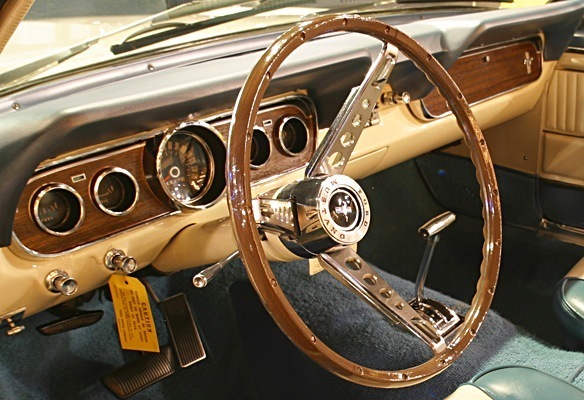 With an overall width of 68.2 in (1732 mm), it was 2.4 in (61 mm) narrower, yet the wheel track was nearly identical. 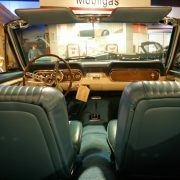 Shipping weight, about 2570 lb (1170 kg) with the six-cylinder engine, was also similar. 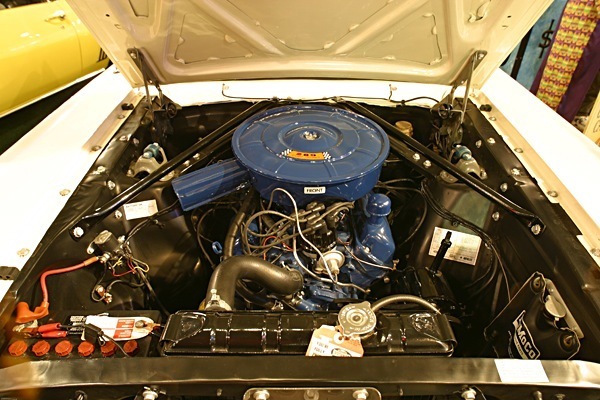 A fully-equipped V8 model weighed about 3000 lb (1360 kg). 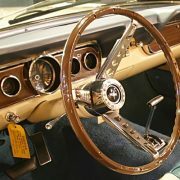 Though most of the mechanical parts were taken directly from the Falcon, the Mustang’s body shell was completely different; sporting a shorter wheelbase, wider track, lower seating position, and overall height. 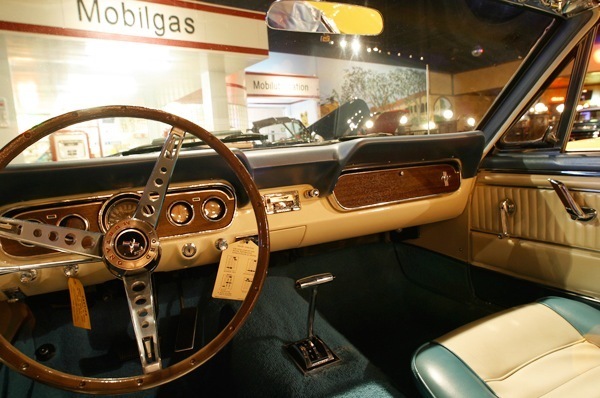 An industry first, the “torque box” was an innovative structural system that greatly stiffened the Mustang’s construction and helped contribute to better handling.